Here are some of the other stuff my mom got me when we went on a shopping spree at National Bookstore. I love love love it! 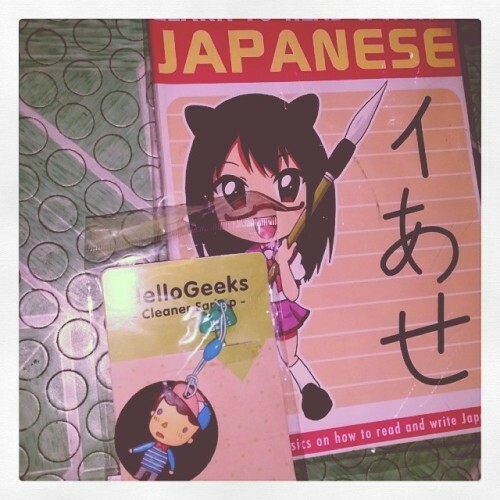 I also still have my old print-outs of how to write Japanese. My problem however is finding time and squeezing activities in my oh so very happy schedule during weekends…that’s mostly composed of sleeping late and waking up late. Haha. I really got to work on that. Previous PostWhat are you saving for? Learning Japanese language is fun and you can use that later on with your education especially your life. Sleeping late and waking up late is a really hard habit to break. Ha! Try to become a Mom and you’ll see how hard it is to squeeze everything in lol. You’re doing just fine. I love the Japanese language. I learned how to write, speak and read in college as part of our curriculum. But, as years went by, my skills got rusty and I can speak, read and write little now which I am so disappointed. My daughter is picking up pace though in learning the language. She’s an anime freak hahaha.